Back to the influences jestered in Robert Fripp’s crimson court. Feeding on us, as a past time, while making modern life itself, cannibal. By such a skilled composition and rarefied atmosphere. Needs no atlas as it maps its own bright horizons in vocal glory and near majestic refrain. And now across ages, often in a moment and in a flutter of sky sent notes and words. In a quest across danger that the very air itself disavows. Through the daylight, rendering the exotic to the listener’s need to belong. To all of the power, not only on display here but in music, almost beyond other forms. As the heart’s heard expression crests across sound, unadorned. Hungry Years could be pop, as the east is traded now across water. Guitar jangle, Hackett’s voice sweetly chorused as the survival’s reassurance arrives. Of the eye. Descent is conveyed by a stutter of drums and chord warning. A dark shadow forming over once bright land, that stops life. Furious pattern, in which those previously troubled forces have tried to make their assault. 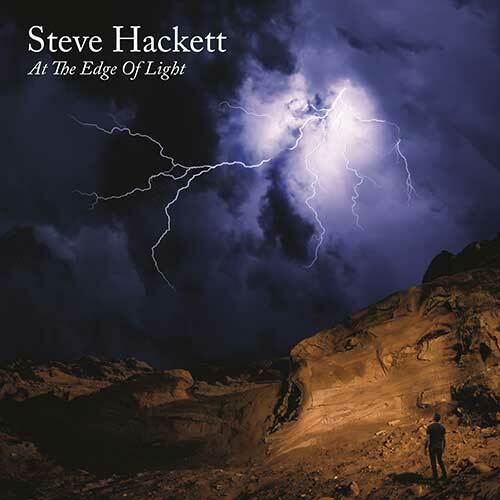 As if all of Hackett’s instrumentals across his career have been sought. To reveal a stately piano that has a McCartneyesque feel reveals hope. Showing that heroic guitar and songwriting and simple appeal can ring through. Hope heard in the heart and now sung through the dark also. At the Edge of Light, what is left us is all of the chance we are owed. This most prolific of men has continued to serve his muse grandly. He tours and shelters the group with whom he found fame and new work. And chases warmth itself, as you listen. 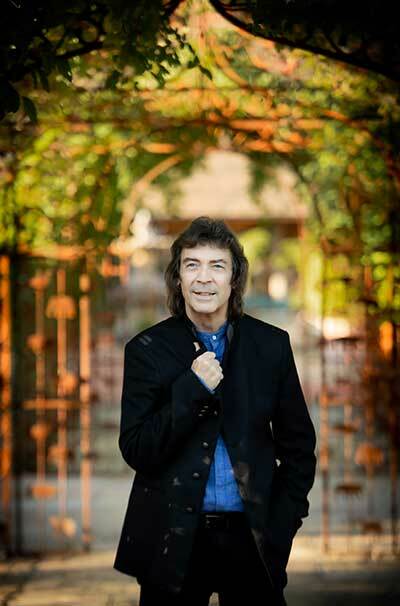 This entry was posted on 12 January, 2019 in homepage and tagged At the Edge of Light, David Erdos, Steve Hackett, Tina Korhonen. Bookmark the permalink.